A good night’s sleep isn’t just about your mattress. Find out how to get your best night’s sleep by choosing the right bed frame for you. Bed frames aren’t just about good looks. By choosing a great bed frame, you’re in for a great night’s sleep. That’s because a bed frame provides an effective and supportive foundation for your mattress, allowing it to perform at its best. 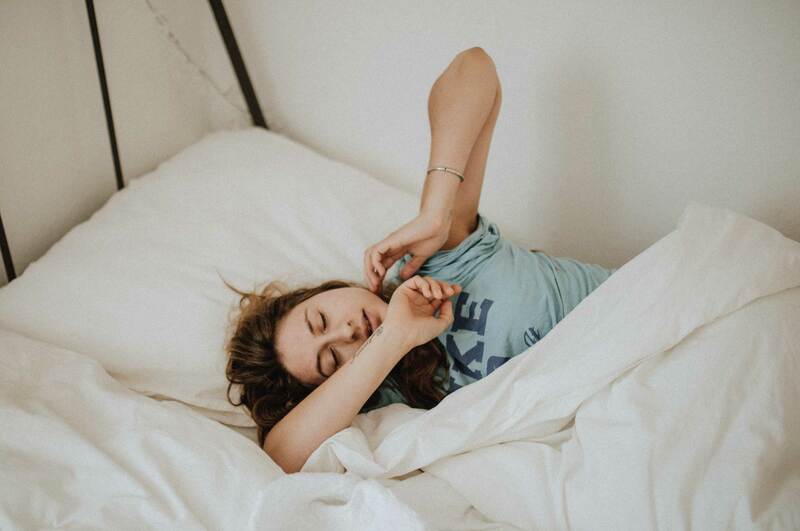 A frame can also help prevent heat trapping, reduce noise and raise your mattress to a comfortable level so you can easily hop in and out of bed. We’ve created this guide to Australia’s best bed frames to help you choose the right frame for you. We’ve handpicked a list of our favourites that suit a wide range of budgets, design styles and preferences, including firmness and height. They’re all available in Australia and some of them are specifically designed to complement mattresses in a box. Explore our curated list of Australia’s best platform bases and frames. Whether you’re after a modern and contemporary style, or a more traditional and classic design, we’ve got options to suit. The Koala Timber Bed Base is an ultra-modern base with a minimalist look. Constructed of large pieces of timber, it fits together easily like a jigsaw. It even comes with holes for your electronic device’s cables to keep them charged and within reach at all times. It is exceptionally low to the floor – just 23cm – which may be tricky for some. Overall, it’s a great choice for the design conscious. Koala is a young company which has already developed one of the top-rated designs for mattresses in a box – the Koala. Proudly Australian, they focus on the simple done well. Although the Koala Timber Bed Frame is designed in Australia, it’s manufactured in China. The Koala Bed Base looks beautiful while being durable and affordable. Its smart design includes storage behind the bedhead for storing stuff out of sight and cable management which hides your devices’ charging cables. The oversized platform design makes it look like the bed is floating. Because of its modern look, the bed base is very low to the ground – there’s just 23cm from floor to bed base. Add a Koala mattress on top with a depth of 23cm, and you’re sat at 46cm off the floor. A standard height is around 60cm. So, it’s a very low profile and something worth bearing in mind if you struggle to get in and out of bed. Designed to complement their mattress, the Koala Bed Frame is available in 2 sizes, queen and king. Engineered from natural timber (cottonwood plywood) with a honeycomb core for strength, the bed base features panels of precisely cut timber. Ventilation ensures airflow and the ideal sleep environment for your mattress. It doesn’t have any slats, instead the mattress lies directly on the flat timber surface. This isn’t a very forgiving or flexible surface but is supportive. The base is easy to build and move - the tool- and slat-free design takes less than 4 minutes to build. With its water-resistant coating, there’s nothing you need to do to look after your bed base. Offering a 120-night trial with free delivery and pick up, plus a 5-year warranty, it’s a risk-free way to work out if it’s right for you. Save 10% on your Koala bed base with orders over $1000. The Kyoto is a simple and modern slatted bed base. Sitting directly on the ground and available only in black and queen size, it’s a good option for contemporary homes and for people who don’t struggle to get in or out of bed. It’s by Sydney-based Emma’s Design, known for their elegant, high quality and original designs. Although Emma’s Design is based in Australia, the Kyoto is made is Malaysia. Made of metal, it’s durable and hardy. It’s constructed of solid beams, meaning it doesn’t have feet – it sits directly on the floor. Solid beams run around the edge of the bed, with extra support legs down the centre for added strength and stability. The openness of the bed base allows air to circulate freely, avoiding any moisture issues. There is plenty of storage space underneath (with a height of 26cm), handy if you’re lacking storage in your bedroom. It’s flexible because it doesn’t have a bed head. You can add a wall-mounted bedhead if you like, as there are no fixings to mount a bedhead to the base. It comes in one colour: black. This gives it a contemporary and stylish look. It also comes in only one size: queen. At 30cm off the floor, the Kyoto bed base is very low. The standard height is around 60cm. Depending on the depth of your mattress, you may have to lower yourself very close to the floor to hop into bed. Assembly is required, which means you won’t be trying to manoeuvre a ready-made queen-sized bed base around your home. Because it’s metal, maintenance is simple. You just need to wipe it with a dry, clean cloth to remove any dust. A striking wooden bed, the Mid-Century Platform Bed is a modern design statement. Its open design, combined with wooden slats, gives it a clean, uncluttered look that provides a supportive base for your mattress. west elm hails from Brooklyn, New York and focuses on modern design, affordability and community. Their Mid-Century Platform Bed is a traditional design with a twist. With the appearance of classic wood and walnut, the clean lines of the bed are complemented by the angled legs. It includes a simple and bold bedhead. It’s made of walnut veneer over solid birch with a water-based walnut finish and is made in Vietnam. It comes in 3 sizes: double, queen and king. Sized especially for Australian beds, it accommodates most standard mattresses. All the bed frames have a height from the floor to the base where the mattress sits of 29.9cm. This low profile won’t be a problem if you have a deep mattress or you’re perfectly ok lowering yourself to get into bed. Bear in mind that the standard floor-to-bed base height is around 60cm. Flexible and durable wooden slats are included, which allows great air flow around your bed and mattress. Assembly is required although you can pay extra for deluxe delivery, which includes your bed being assembled for you. Due to its wooden construction, ongoing maintenance is easy – just a light dust with a soft dry cloth. You’ll also need to occasionally check the screws for tightness. If you’re looking for a unique bed frame, the Ergoflex Premium Bed could be for you – it’s completely customisable. You choose your own base, headboard and fabric and it’ll be handmade right here in Australia. The Ergoflex Premium Bed offers a lot of luxury, with a hefty price tag. For over 10 years, Ergoflex has been pioneers in the mattress market. Recently they’ve extended their offering to include this bed base. With the Ergoflex Premium Bed you can choose every aspect of the design, whether you’re looking for a classic, contemporary or luxury look. An easy online process, you select a low or high foundation base and a headboard in over 30 colour choices. Ergoflex states there are over 3,200 possible design combinations. 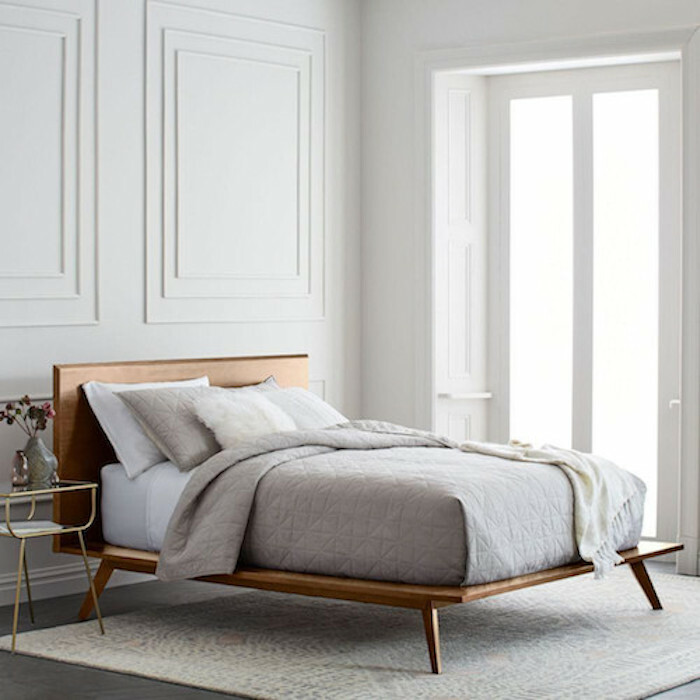 Handcrafted in Australia using Australian materials, including durable and sustainable Victorian Ash hardwood and pine, and high-quality Warwick fabrics, it’s a luxurious bedframe. It comes in 5 sizes – single, king single, double, queen and king. Every Ergoflex Premium Bed is custom-made, so delivery takes between 3-6 weeks. Delivery is free to most Australian locations, but you can pay extra to have your bed assembled at home. With clean and modern lines, the Noa Sunrise Bed features a curved headboard and white lacquer finish. Its simple design will fit any bedroom style and includes a flexible slat support system. Because of its affordability, it’s a basic, no frills bed frame. A Canadian company, Noa prides themselves on well-designed yet affordable products that can be easily bought online. They’re creators of the hybrid Noa mattress. The Noa Sunrise Bed includes a 2cm-thick headboard and is made from sustainably sourced MDF, certified to FSC standards. It’s been finished in a bright white glossy lacquer and is available in 2 sizes, queen and king. Noa reckons the king size is suitable for a king mattress sized 183cm x 190cm but given the standard Australian king size is 203cm, this could be an issue. 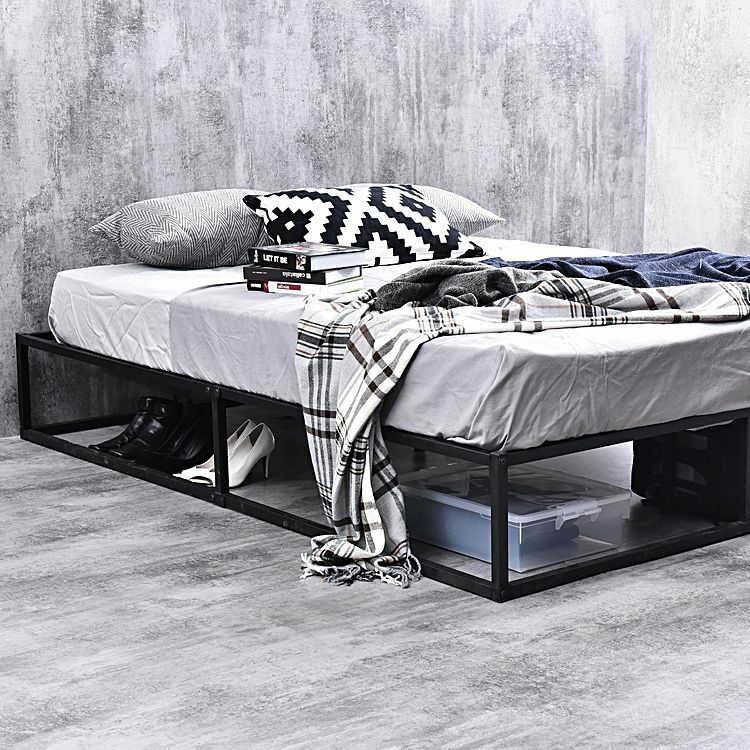 It’s a low-profile bed frame, which means it’s close to the floor – not ideal if you struggle to get in and out of bed. Its slat system features 28 curved and responsive slats to effectively support your mattress and adjust to your weight. Designed in Canada, it’s been responsibly made in China although it only comes with a 1-year warranty. The HEMNES is a design classic. A traditional look, it’s made of solid wood, making it durable and easy clean. Even with the addition of a slatted bed base that you buy separately, it’s an affordable option. Some customers may find that their mattress doesn’t fit precisely because the dimensions aren’t exactly standard Australian mattress sizes. Founded in Sweden, IKEA is world-renowned for its affordability, smart design, sustainability and infuriating shopping and flat-pack assembly process. The HEMNES Bed features a rail-topped slatted bedhead and footboard for a classic look. Available in 2 stains, you can choose a traditional dark black-brown or Scandinavian white. Made of sustainably-sourced solid pine, it’s durable and hard-wearing. It’s been designed to allow for extra storage space under the bed with RÖMSKOG bed boxes (sold separately). It’s also flexible – adjustable bed sides allow you to use mattresses of different thicknesses. This is helpful as it allows you to raise the height of the bed, making it easier for you to get in and out. These are very close to but don’t exactly match standardised Australian mattress sizes. This means you either need to buy an Ikea mattress or be happy with your mattress not fitting precisely. The price includes the SKORVA midbeam, a galvanised steel centre support beam. The price doesn’t include a slatted bed base. You’ll need to buy the IKEA-specific one which includes 17 slats of layer-glued birch. These flexible slates adjust to your body weight. Obviously as it’s an IKEA product, assembly is required. However, these days you can order online and get it delivered, and even assembled for you. Due to its solid wood construction, it’s easy to care for. Just wipe clean with a cloth dampened in a mild cleaner and then wipe dry with a clean cloth. The Brosa Upholstered Bed Frame Base looks like a traditional bed – fabric-covered and boxy, it’s a classic choice. With plenty of built-in storage, it’s both practical and beautiful. Made to your specifications out of long-lasting wood and premium fabric, it comes with an impressive 10-year warranty. Australia’s highest-rated online furniture retailer, Brosa is an Australian company that focuses on beautiful yet affordable products. 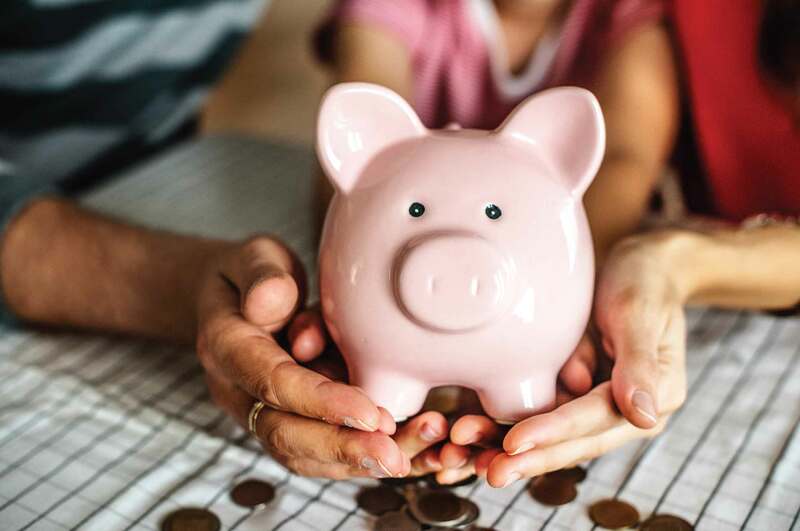 With most processes handled in-house and an exclusively online presence, costs are kept low. 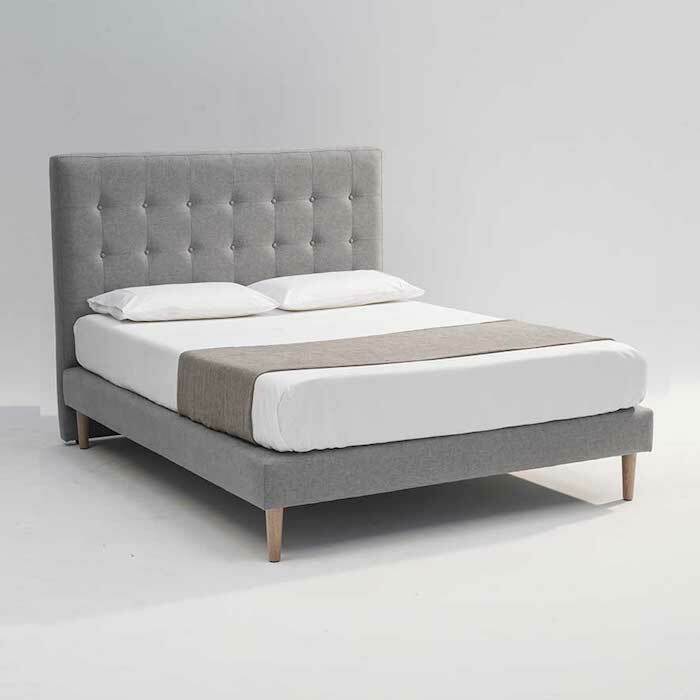 Their Queen Size Standard Upholstered Bed Base with Drawers is highly customisable. You can choose from a range of Warwick colours and fabrics to match your interior. 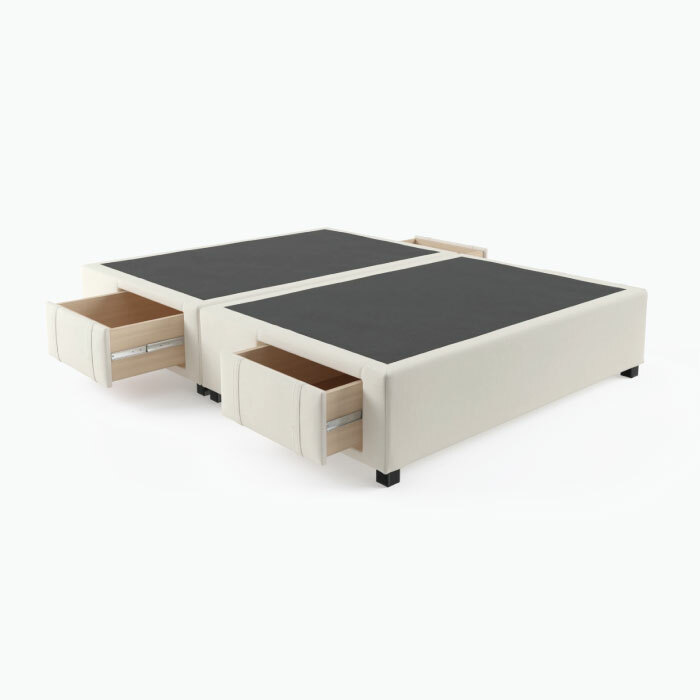 The bed base can be matched with any of Brosa’s bed heads, although this is an additional cost. It comes with 4 in-built drawers for plenty of hidden storage. The frame is built from solid timbers that offer good mattress stability. Hidden underneath the fabric outer are postured bed slats for more mattress support. It’s only available in queen size. With a generous 41cm height from floor, once you’ve added your mattress you’ll be at the perfect height for getting in and out of bed. As well as a generous 10-year warranty, it has a 7-day no questions asked returns policy. With so many options on the market, it can be tricky to choose the right bed frame for you. That’s why we’ve created this handy list. It outlines what you should consider when shopping for your new bed frame. Also consider your design and style preferences, plus your budget. Slats are important to support your mattress. Look for slats that are no wider than 6.4cm apart. Any wider than that and there’s a greater risk of wear and tear to your mattress. You’ll find 2 types of slats: sprung and flat. Sprung slats are curved and wooden. They sit within the frame and give a natural bounce that adjusts to your weight. The thicker they are, the firmer the base. Flat wooden slats are more affordable. Although not as responsive, they still provide firm support. Is it a box spring or foundation? A box spring is a wooden frame containing springs and covered in fabric. The springs give extra support for your mattress and the wooden frame provides a firm base. A box spring tends to have issues with air circulation as a box spring that lays directly on the floor can trap moisture inside it, potentially leading to mould. Go for a box spring that comes with a bed frame or legs that lift it off the floor. A foundation looks like a box spring, but it has wooden slats underneath the fabric. A foundation bed aims to support your mattress. In comparison, a box spring provides less mattress support but more shock absorption. Your choice will depend on how much support and firmness you’d like to feel. Bed frames aren’t standardised. Even though it may be labelled as a king, it might not match the dimensions of your king mattress – a European king size is different to an Australian king size, for example. It sounds obvious but make sure what you’re buying matches the size of your mattress. Make a note of your mattress dimensions before you go shopping. Also think about the size of the room the bed frame is going in to. If you can, put your mattress on the floor and walk around it to understand how much space you have around your new bed. 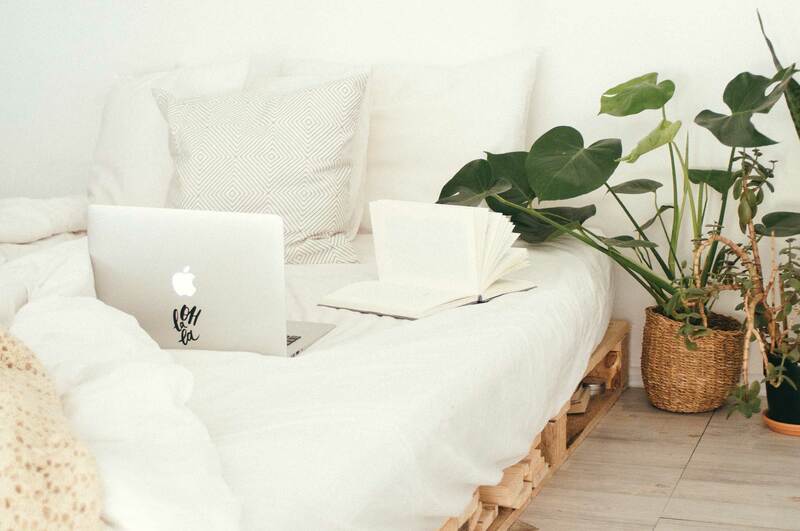 Aim to have at least 0.5m of walking space between your bed and any furniture. The main purpose of a bed base is to raise the mattress’ height, allowing you to easily and comfortably climb in and out of bed. Look for a bed base where you can place your feet on the floor while you’re sat on it and easily stand up. Sat down, your knees should be about the same height as your hips. Metal is a durable and sturdy choice for a bed frame. They suit contemporary and modern rooms. Solid wood frames add warmth and a uniqueness due to its texture and colour variations. Although wood is very supportive, it can splinter, rot and warp over time. Wooden bed frames can suit a range of design styles, including traditional and modern. You can also choose fabric or leather bed frames. They normally have hard wood frames that are wrapped in fabric or leather. Leather requires a lot of maintenance, including cleaning with products especially designed for leather. Fabric bed frames offer lots of choice. You’ll normally be able to pick the colour and fabric yourself, making them a good choice if you’re looking for a specific style. Does it come in flat-pack? Think about whether you’ll be able to easily get your new frame into your house and up any stairs. By going for a flat pack, it’ll be easy to deliver and move around. Check the box dimensions to make sure it fits through your doorways.